Letting you play music, movies, and games, the iPhone and the iPod touch could be two of the best time-wasters ever built. But with the right third-party applications installed, they can also give you a whole new mobile workspace. No, they can’t replace a laptop when it comes to real productivity. But you can use them to stay in touch with your Mac back at the office, update your to-do list when you’re away from iCal, and more. Here are nine applications that can help your iPhone and (in some cases) iPod touch make you more productive, not less. Software vendor Avatron claims that 10 percent of all iPhone users have downloaded its $7 Air Sharing. If you aren’t one of them, you should be: Air Sharing lets you mount your iPhone or iPod touch as if it were a wireless thumb drive, accessible from any Mac, Windows, or Linux computer. Let’s say you’re headed to a meeting. Before you go, you drag and drop files onto your iPhone. At the meeting, to share one of your files, you activate Air Sharing’s built-in file server (which works over a local wireless network); your iPhone can then be mounted like any other network volume. Air Sharing handles scads of document types (including Microsoft Office, iWork, and PDF) and offers extensive built-in help. If you’ve used Leopard’s screen-sharing feature or Back to My Mac, you’ll get what’s so cool about Jugaari’s $25 Jaadu VNC iPhone app: it gives you screen control over any computer (Mac or PC) that has Virtual Network Computing (VNC) enabled. You can use Jaadu VNC to control any application from your phone—you could, for example, run Keynote or PowerPoint presentations using your iPhone as a clicker. The program includes a rich set of combo keystrokes, so you can do almost anything from your iPhone that you could from your computer keyboard. 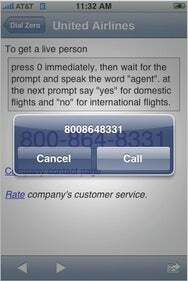 Jott is a service that lets you dial a toll-free number and leave yourself a voice memo; the service then transcribes that memo into text and sends it to you via e-mail. The free Jott for iPhone app ( ) extends that service to the iPhone. 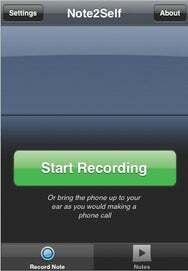 After you dictate whatever you want into your iPhone (15 seconds max), your voice note is sent to Jott’s server, where it’s converted to text; that text is then synced back to your iPhone. (If you need to receive the text on your Mac, this isn’t the solution for you; if you want to get your note via e-mail and don’t need it transcribed first, see Note2Self below.) The basic Jott service is free, with two upgrade plans: $4 per month lets you send e-mail and text messages from any phone; the $13-per-month Pro plan lets you record 30 seconds at a time. If your job requires that you know what’s going on in the world, you need the free iPhone version of the Associated Press’s great Web app ( ). It gives you easy-to-read screens of news in all sorts of categories—including finance, politics, and sports. And it’s not like browsing a news site with the iPhone’s version of Safari: the screens are specifically optimized for viewing on the iPhone and are easy to read even if you’re in a hurry. It’s a great way to stay informed when you’re on the move. Voice-activated dialing usually requires that you train the phone to respond to certain names before you can dial them hands-free. Adela Group’s $5 SpeechCloud Voice Dialer does voice dialing one better: if a name is in your address book, you can dial it by simply speaking the name after touching the app’s icon. This is great not only if you’re too busy to dial, but also if you want to keep your hands free—for, say, typing on your laptop.